Product of Bologna, Italy R Series is considered by some the ultimate "Miter Box" for its modular design. Designers have Tramec's six machined sides, flange, torque-arm, foot, and shaft outputs, as well as shaft, coupled flange, and close flange inputs to access the R series 1, 2.5, 5, and 10/1 ratios for a wide range right angle drive applications. A high-efficiency, quiet, maintenance free Gleason spiral-bevel set fit inside of a gasket free modular gear case made of near net engineered cast-iron gives any machine designer peace of mind. Using our on-line CAD drawing tool, and knwing TVT's commitment to fast assembly & ship, gives our clients the"at hands reach" solution for their competitive advantage. When our clients win... we do ok too. By design, our R series is Servo friendly, with a reduced backlash of <8 Arc Minutes suitable to many right-angle servo applications... at a great price. Packaging machinery requiring long life, low noise, and leak free performance. Pre-stage gearbox requiring right-angle configuration. Servo drives requiring a right-angle configuration. 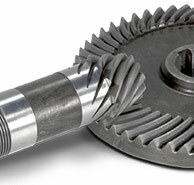 Low ratio applications normally served by worm gears (10/1 ratio at 98%+ efficiency). 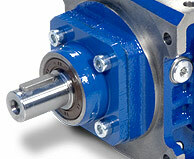 Pump drives where right angle is desired for mounting. Conveyors requiring 5 and 10/1 ratios and right-angle compactness. Wind power applications for speed increase. 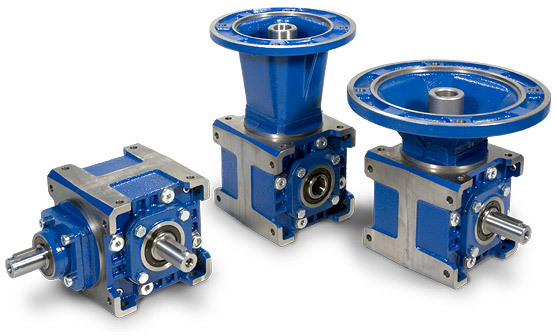 R Spiral Bevel Reducers is available in five standard sizes from 19 to 48mm output shafts (3/4 to 1-7/8"), ratios 1, 2.5, 5, and 10/1, left, right, double, and hollow output shafts, as well as shaft, flanged, and close coupled input types for IEC Induction and Servo motors. The Spiral Bevel Gleason machined gears are highly efficient and have an excellent thermal rating running in synthetic lubricants. Angular backlash of 12 ~ 20 arc minutes is standard, with a reduced backlash of <8 arc minutes available for your precision motion control applications. 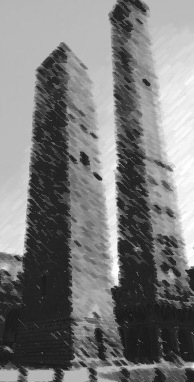 Low inertia is inherent to the R, as is fast delivery from modular assembly of common parts. Housing:Near-net Cast Iron Grade EN GJL 200 UNI EN 1561, internally ribbed & polyester epoxy painted in&out. Shaft or Flanged Input style available for immediate assembly. Single or Double, * Hollow outputs with torque-arm, flange, and universal foot mounting. Gears: Case Carborized, quenched, and ground 16CrNi4 or 18NiCrMo gears. Bearings: Precision Tapered Roller - ISO Grade Manufactured of 52100 Vacuum Degassed Steels. Tested for Noise, backlash, fit, and finish. ISO 9002 production. 105 to 6,753 in-lbs output torque (T2N). i = 1 to 10/1 standard ratios + near unlimited gear, motor, or Variator inputs from TVT.